In the comfortable atmosphere, a young lady is reading a book from the wooden bookshelf to pass the time. “Omataseshimashita” says the waiter as he hands the ‘today’s special parfait’ to the young lady. She seems to be surprised at the number of fresh strawberries on the sweet white cream. “Today’s special parfait is made from the handmade ice cream made of Kochi tea, the strawberries are grown at Kuroshio Town, and blueberries are the one that you have just picked.” says the waiter joyfully. The lady does not seem to realize what the big deal about it is. However, as she tastes the parfait, her expression changes to amazement. “I guess the hard work is worth after all,” says the lady cheerfully as she continues to eat the delicious parfait. 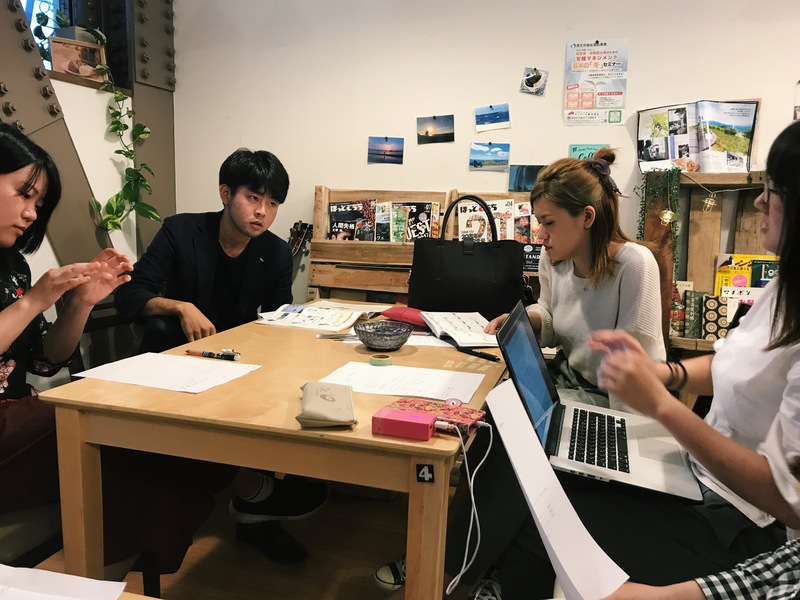 “We want the customers to taste the deliciousness of the Kochi’s local products,” says Kenta Daido, who is a 4th-year student of the Regional Collaboration Faculty at Kochi University, and the student director of this café. “Night Café Satobito” is a night cafe run by the Satobito company. 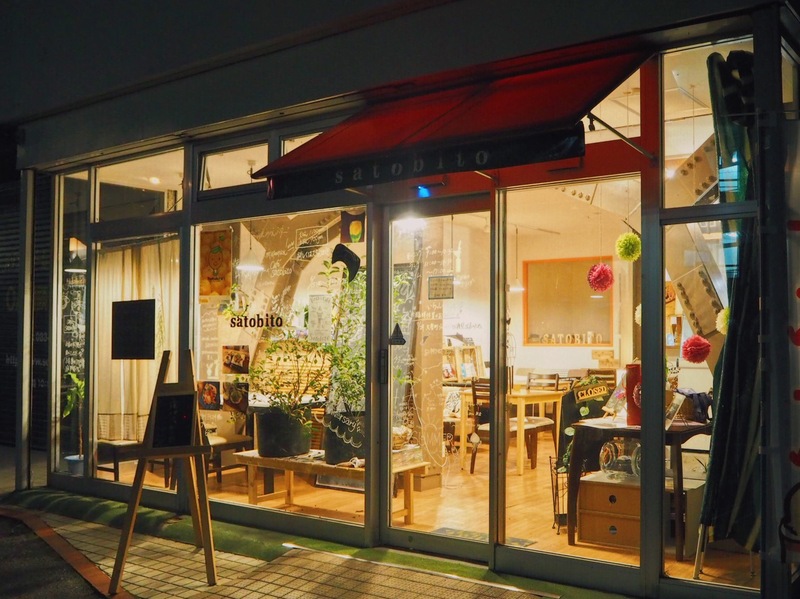 This “Night Café Satobito” is a project that serves as a challenge to the students and is a part of their celebration for the first anniversary. This June, Asakura Town got a new place to relax at night by eating delicious desserts and drinks. Since the café is open until midnight, the customers can rest and chat with their friends while dining. They also serve alcoholic beverages, which is a good thing for Kochi people, as they like to drink. This café has no professional chefs or workers, it is run by the students. Most of them are students from the Faculty of Regional Collaboration at Kochi University. This faculty studies how to solve local problems with local people by taking fieldwork classes. This café is where they put what they learn from their lessons to practice. “I’m sure this café gives students social experiments, which can never be gained from class,” says Professor Tsujita, who is a vice dean of Kochi University and supports the Satobito company from the background as a company’s CEO. He said that they had planned to make an ice cream shop which sells ice cream made from Kochi’s fresh fruits or vegetables at first. Then again, it is not only the tastiness of the ice cream, but it is also the freshness and tastiness of the fruits and vegetables that they want to spread. They want the public to know about this kind of tastiness too. That was the original idea that made Café Satobito, the day version of Night Café Satobito. “Our missions are to let many more people know how nice products farmers in Kochi are making, and support to increase producers’ profits,” said Arika Kamiyama, a 4th-year student of the Faculty, and who mainly manages the café’s cooking. The students are trying to do various things to spread the word. 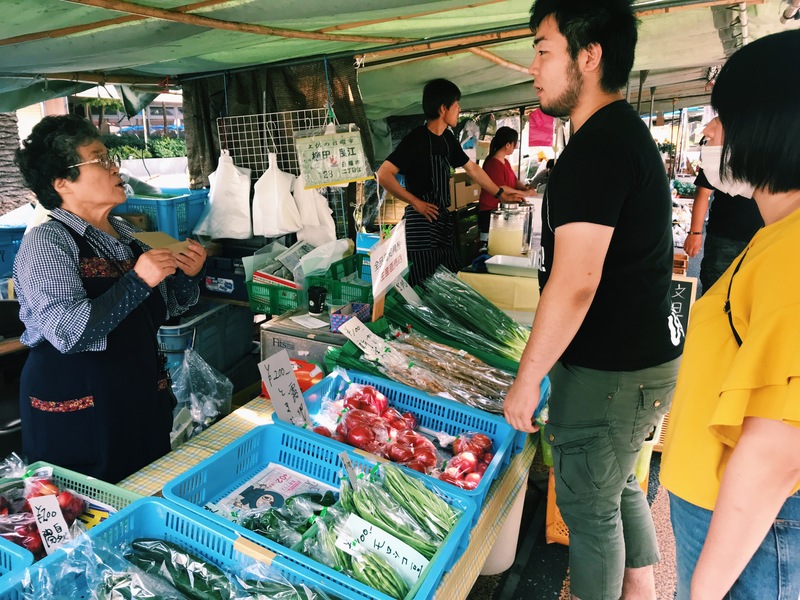 For example, they serve dishes which uses the local vegetables or products in the way which farmers recommend, they tell consumers that by talking to them directly, and sell local products in the Café Satobito or open a store in events. These acts benefit both the local farmers and consumers. Of course, the students also benefit from all this process as they can experience what it was like in doing business with local people. To make this cycle grow even more prominent, they are now trying to have a broader and better connection with the local farmers. Every week, they will go to the Thursday market and Sunday market. They will also visit the local farmers, talk and share information about the products and discuss consumers’ opinions. Besides the ‘Night Café Satobito,’ they are also planning to do a new project. For instance, making new dishes or sweets, selling lunchbox called the “Satobito bento” at the café and at Kochi University’s cafeteria, or selling local products on the internet to deliver Kochi’s beautiful local products for people all over Japan and even all over the world. “Although making a profit is very important for us as a business, but we really want to do is making here place where every student can try anything they want to do.” Prof. Tsujita said. “There are a lot of things we want to do! Because we have various students, so we can think up various ideas,” says Daiki Ueta, a 3rd-year student. I want to eat satobito bento! I didn’t know that satobito open still 12:00am. I can enjoy eating different kind of parfait every seasons. I definitely will buy Satobito bento.